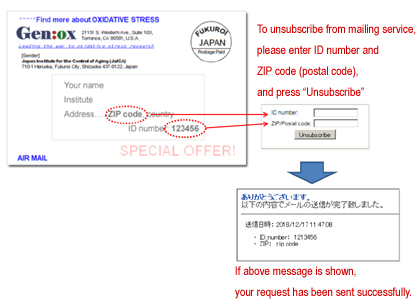 To unsubscribe mailing service, please fill following form and press Unsubscribe. Genox Corporation, 21151 S. Western Ave., Suite 103, Torrance, CA 90501, U.S.A. Copyright © Genox Corporation. All rights reserved.